Finally back to sketching on vacation. 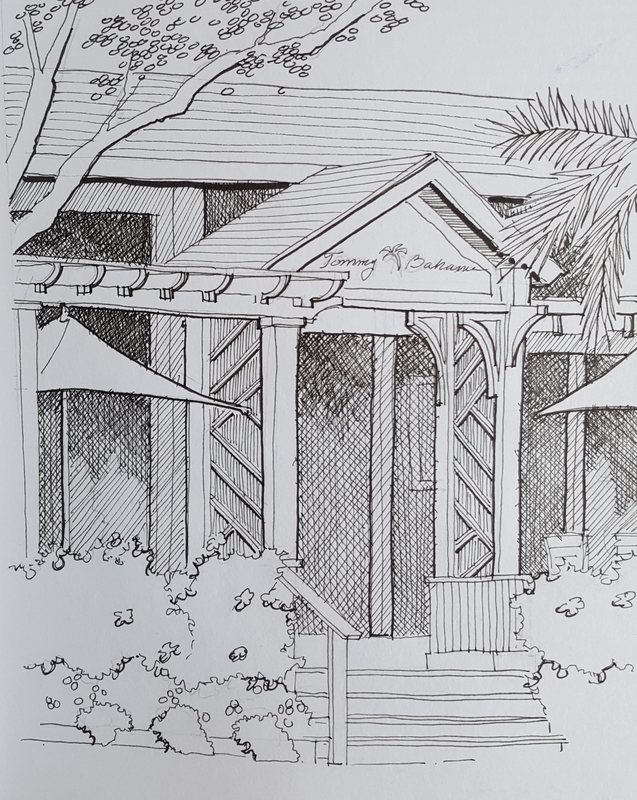 In the courtyard of the spa in Bonita Springs, Florida. Faber-Castell Art Pens with Holbien watercolors in a Stillman and Burn Beta sketchbook. 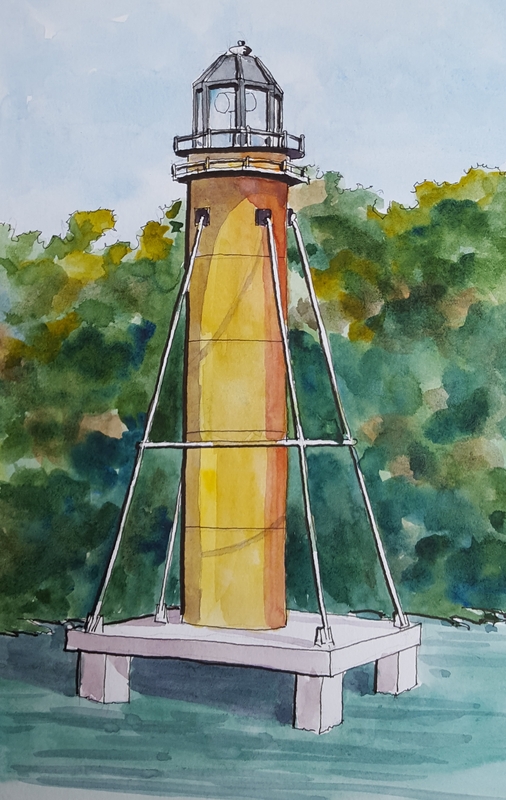 A watercolor sketch of the lighthouse at the entrance to Hamilton Harbor in Naples, Florida. Lamy Safari with Noodlers Bulletproof black ink and Holbein watercolors in a Stillman and Burn Beta sketchbook. The local fish is amazing in Florida. This is a type of fish that we grilled the other night. Lamy Safari with Noodlers Bulletproof black ink and Holbein watercolors in a Stillman and Birn Sketchbook. 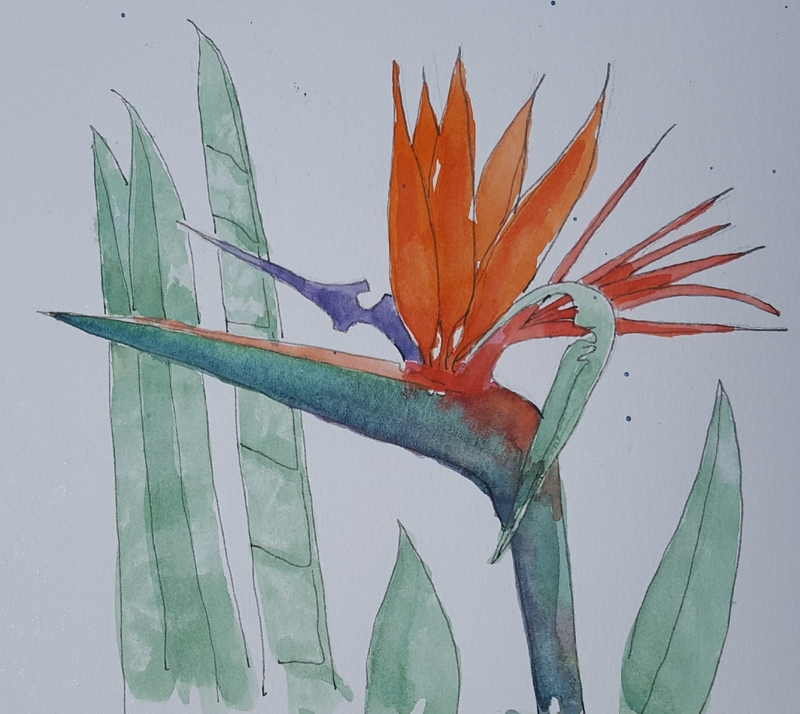 Watercolor and ink drawing of a Bird of Paradise flower. Such beautiful and different flowers. 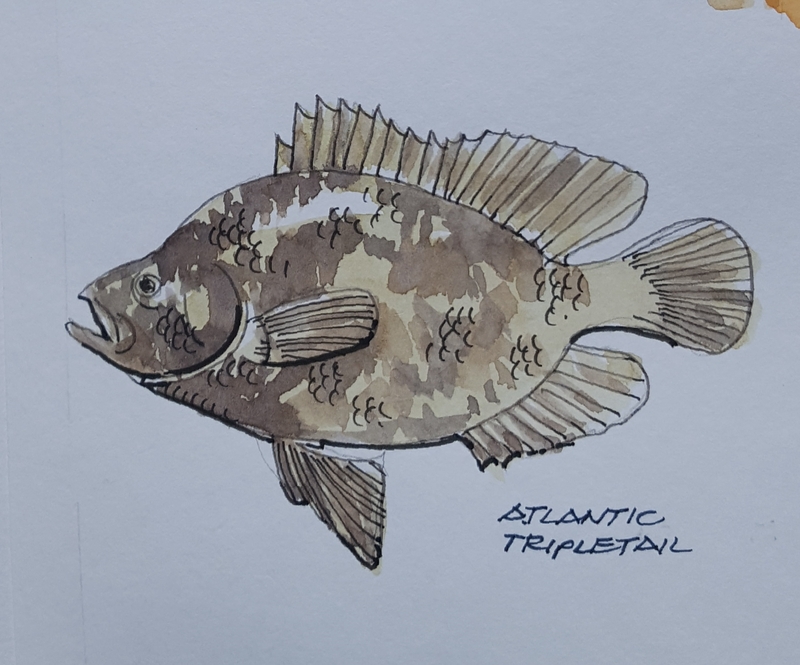 Holbein watercolors and ink lines in a Stillman and Birn Beta sketchbook .